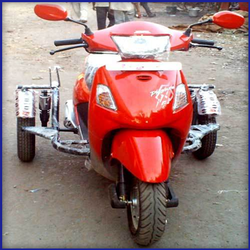 Leading Manufacturer of side wheel attachment for activa, side wheel attachment, side wheel attachment for any two wheeler, compact side wheel attachment, side wheel attachment on avenger and hero side wheel attachment from Indore. Side Wheel Attachment for Activas is made by using the latest technology and they are made using very sophisticated methods. These are excellent quality side wheels in order to make these wheels which gives out a maximum level of output and they give out a high performance which makes them in demand to the clients. These wheels are available to the clients at leading market prices for their convenience and we ensure that the clients are satisfied with the products. With the help of our distinguished professionals, we have been able to bring forth the wide range of Side Wheel Attachment. Our product is a reliable one as it provides the support to the people who are in need. 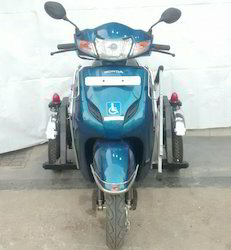 We offer this product at cost effective prices and also provide wheel attachments as per the specifications and requirements of the clients. 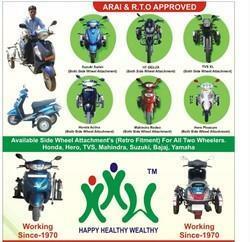 We are a trustyworthy organization offering a wide a gamut of Side Wheel Attachment For Any Two Wheeler. We are one the leading service provider in Side wheel attachment compact range with the high-quality of material used. 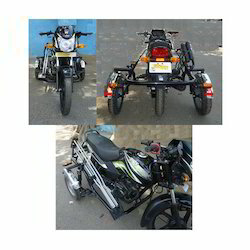 We are highly involved in providing Side Wheel Attachment For Any Two Wheeler. 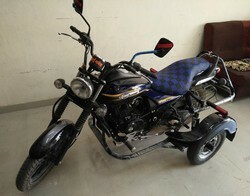 We are highly involved in Side Wheel Attachment On Avenger. 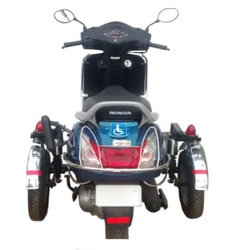 The Hero Side Wheel Attachment which we manufacture and supply are known for its excellent functioning and the durability which we are provided to the clients. We are used premium quality materials for manufacturing these wheels. The technology used for making these wheels are very sophisticated and high tech and our wheels are very high on demand in the market due to its high quality and they are available at leading market prices. 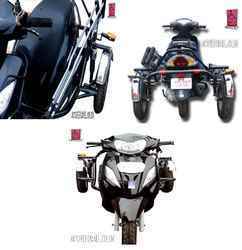 Being one of the well-known manufacturer and supplier of TVs Xl Side Wheel Attachment. In the industry, we are prompt to provide our client various side wheels. We are experts in these wheels which includes materials such as aluminium, ms steel pipe, stainless steel pipe. We offer improved technology base and high quality of chairs to our clients, with excellent performance. Our range of wheels is easy to handle and maintain. 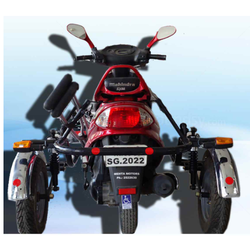 Prompt to provide our valuable clients the best side wheels, we are engaged in manufacturing and supplying optimum quality of Mahindra Rodeo Side Wheel Attachment. Our products are widely required by our esteemed clients and highly appreciated across the globe for our steadfast and reliable side wheels. These are made by experienced and proficient workers of our company to assure the user effective solutions. We offer these range of side wheels at reasonable rates in industry with flawless performances. 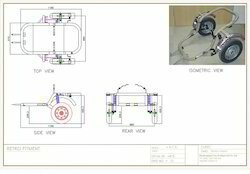 Special design Side wheel Attachment for portability purpose, this is unique product introduced by our company only. 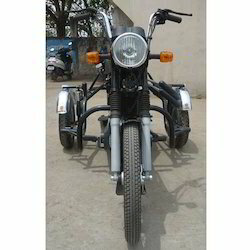 Side car available on any two wheeler to our valued clients. Our customers can avail a wide range of Tv Xl Side Wheel Attachment from us with assured quality and improved performance. Our diversified ranges of wheels are sourced from trusted and authorized vendors in industry. We offer these wheels are in specific demands of the client. Our focus is on the quality of wheels so that we offer these wheels after all testing based on different parameters to satisfy our clients’ requirements. 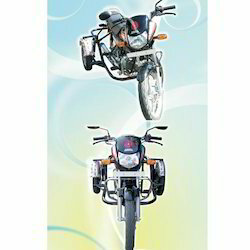 Being leading manufacturers and suppliers of side Side Wheel Attachment on TVS Two Wheeler. we are offering an extensive range of wheels that are technologically advanced. These wheels are highly acclaimed in the market for their extended durability and minimum maintenance. Our engineers are expert in manufacturing these wheels as per the specific requirements of our clients and can customize on different parameters. We are known as one of the reputed manufacturers of Side ISIMark Wheel Attachment on Mahindra Duro on Mahindra Duro that are fabricated from best quality material. These machines are developed under the strict guidance of our professionals who hold an expertise in manufacturing process. Engineered with perfection, these machines are wear-resistant and offer smooth performance. Our R&D team is highly active in up-gradation and innovation of these automobiles. 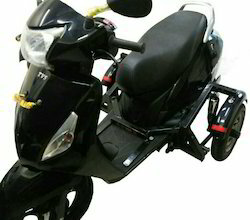 We also offer our clients the top class TVS Sports Side Wheel Attachment with assuring them reliable and durable. Our skilful and professional teams are fully dedicated in offering our clients flawless and quality maintained wheels. We ensure our clients with long lasting services and with durable functionality that makes us highly demanded and appreciated among the international and national clients. Looking for Side Wheel Attachment ?